We would like to send our prayers to everyone in the Houston area and wish you a speedy recovery. After a very hot summer, all of the major diamond centers are up and running at full steam. The recent Hong Kong show saw results above expectations, including higher traffic and stronger reported sales from the previous year. We are moving into auction season in the major diamond centers around the world, with very strong sales expected in Hong Kong, Geneva and New York. With recent volatility in global currency and financial markets, there has never been a better time to diversify your holdings into rare colored diamonds, considered the most portable and stable hard asset in the world. In this issue, we will discuss investing in diamonds, the US and Hong Kong retail market, Bonham’s upcoming auction, the Paris Luxury Fairand coming auction sales along with our featured diamond. Diamonds make you feel good. They’re up there with chocolates and Champagne. Investing in diamonds has a powerful psychological edge over your tech start-up company shares or natural gas futures beause they are so desirable on such a personal level. Is this a good basis for an investment decision? There are diamonds, and there are diamonds. Collectable diamonds – of exceptional quality and colour, perhaps associated with a celebrity or historical figure – are fetching astronomical prices. There are obvious advantages to diamonds. They are portable, durable, comparatively rare and not subject to significant public opinion shifts as so many commodities are affected today by “green” considerations. Unlike fields of grain or herds of cattle, diamonds cannot be increased by human agency unless you are talking about lab-grown ones. Diamonds are easily stored by individuals, and require no special conditions, unlike investment wines. 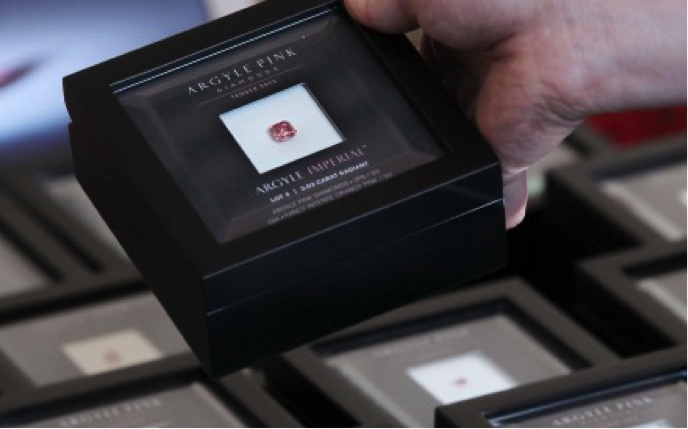 Whether to add this to your portfolio is an individual choice, thinks Chin Yeow Quek, Sotheby’s deputy chairman of Asia and chairman of international jewellery in Asia. “It really depends on the investor’s personal choices, where some people veer towards liquid assets, [such as] stocks and shares; others prefer to invest in more tangible commodities such as real estate. The same goes for jewellery, where you can buy shares in diamonds, but also invest in actual, physical diamonds. Today, top diamonds tend to be seen as a class investment asset. Diamonds Are Unlikely To Lose Their Value. 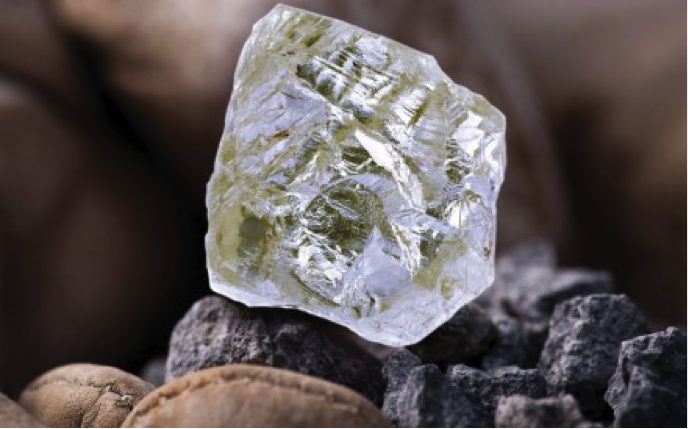 “In the long term,” Yu agrees, “diamonds cannot lose value, especially the good quality ones, as there is limited supply but high demand.” It is up to the investor to look at value over time in relation to inflation, though you run up against the perennial problem with diamonds – standardisation, or lack of it. Part of the attraction, and the challenge of diamonds, is that they are not simple to define unlike, say, gold, with the published price per ounce. The well known 4Cs of carat, colour, clarity and cut are not easily assessed by the layperson. So rule one, dealing with a known and reputable diamond trader, or even manufacturer, provides confidence in the quality of your investment, as well as help reduce mark-ups in the supply chain leading to the retail counter. Keeping in mind that rarity is a significant factor, look at fancy (coloured) diamonds. If buying more than one, several colours would be a sensible idea. Fancies have held their value remarkably well even in volatile times. Only one in 10,000 diamonds is a natural coloured diamond, and the colour makes each one unique. At this moment of rising recognition, the outlook is good for fancies which, incidentally, are not covered by the Rapaport index. Most importantly, do not buy without certification. The most respected certification is from the GIA, or Gemological Institute of America. Affluent seniors looking for an investment they can understand and cherish are increasingly considering the diamond market, according to Sean Cohen. Cohen says most of his clients are in the 60 to 80 age group, and their main reason for investing in diamonds is to pass on a gift of great value while they are still alive to loved ones. Diamonds are a simple way to invest and involve no fees, registrations or other administrative burdens. And by selecting the size and number of diamonds they want to buy, seniors can avoid investment scams and high-pressure sales tactics, he says. The GIA report identifies the four components that determine a diamond’s value: color, clarity (purity), carat weight and cut. Carat weight is objective, while the GIA grading gives the color and clarity. Cut refers to the precision and dimensions to which a diamond is polished in order to emit and disperse the most light and brilliance—this is the only variable where human technical proficiency and artistry are involved. How well this is done has a direct correlation to its value and investment potential. DVD says its diamonds are always triple excellent cut grade, the best quality cut. Most US millennial women view their diamond jewelry as an investment, according to a recent survey that noted a rise in the trend of self-purchasing. The poll, which KRC Research conducted on behalf of the Diamond Producers Association (DPA), found that 75% of US women between the ages of 18 and 34 saw diamond jewelry as an investment in themselves, while 82% were looking for long-term financial value in their purchases. The numbers jumped to 94% and 91%, respectively, among the highest-earning millennials — those with annual incomes above $150,000. These figures help explain why more millennials are buying their own diamonds, the DPA explained in a statement this week, citing a recent De Beers report that showed self-purchasing by US millennials accounting for 31% of all non-bridal diamond sales in 2015, compared with 25% in 2013. Meanwhile, 89% of the survey respondents said they looked for authenticity when purchasing diamonds and luxury products, preferring to buy fewer but finer items. This desire for authenticity was even greater among high-earning millennials, with 85% saying they “would be embarrassed knowing that they owned a knock-off, especially for luxury items,” the DPA reported. Luxury goods offer modern women a visual way to express their self-confidence, the diamond body noted: Two-thirds of the 995 millennial women surveyed said they felt more confident in themselves when wearing diamond jewelry. The DPA is preparing to extend its “Real Is Rare. Real Is a Diamond” campaign, with new content targeting millennials expected to come out in the next few months. The body secured a $57 million budget for 2017, of which $50 million has been earmarked for the US. Hong Kong-based jeweler Chow Sang Sang saw a 3% rise in sales in the first half, powered by stronger demand in China and a pickup in mainland tourism to the territory. Sales came to $1.02 billion (HKD 8.01 billion) for the six months ending June 30, and profit rose 8% year on year to $50.1 million (HKD 392.1 million), the company said Tuesday. Revenue in mainland China rose 8% year on year to $516.2 million (HKD 4.04 billion) as the nation’s gross domestic product grew by an unexpectedly steep 6.9% during the period, the company said. In the local Chinese currency, revenue increased 13%, with same-store sales up 8%. Prices of fancy blue diamonds performed better in the second quarter than the entire fancy-color market combined, as supply shortages and solid Asian demand kept prices stable, the Fancy Color Research Foundation (FCRF) said Monday. A fancy intense blue diamond lead Bonhams’ London auction earlier this month, the company estimated it could fetch close to $2 million and achieved $3.5 million. 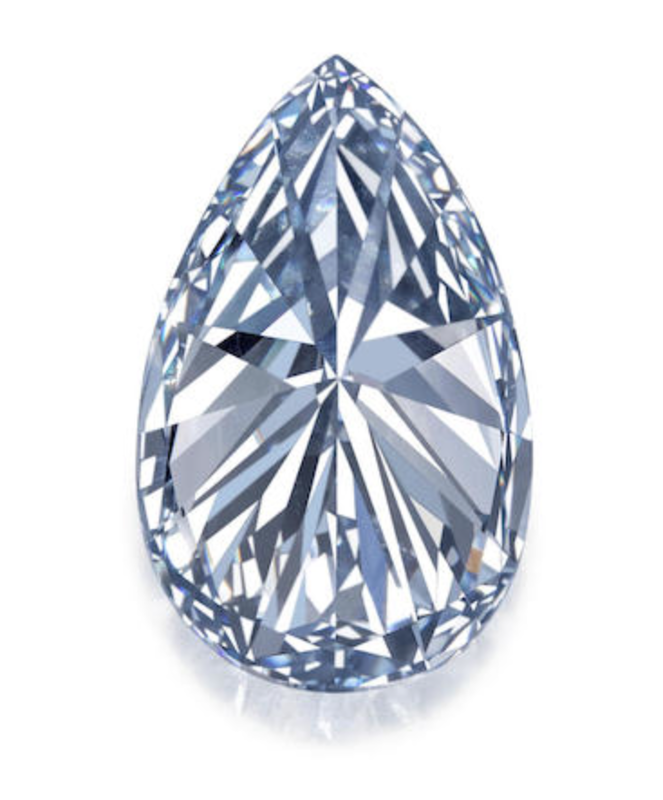 The pear-shaped, 4.03-carat stone has been in a UK private collection for more than 30 years, Bonhams said. The London-based auction house expected the jewel to sell for between $1.5 million (GBP 1.2 million) and $1.9 million. Other items on offer at the Fine Jewelry auction included a brooch featuring a square, step-cut, 4.83-carat, fancy grey-blue diamond as a center stone. The piece also contains two fancy dark brown-greenish yellow diamonds, weighing 2.51 carats and 2.38 carats, as well as a 1.90-carat fancy pink diamond. The entire brooch, dating from the middle of the last century, has a pre-sale estimate of $837,000 to $1.1 million. 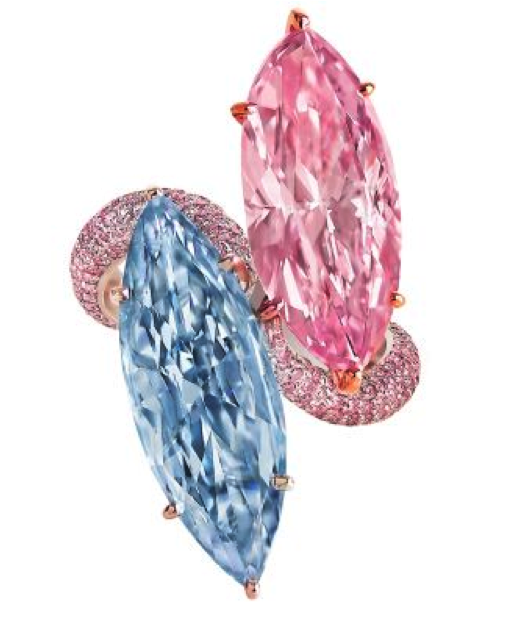 One-of-a-kind diamond jewelry masterpieces, including an extraordinary blue-and-pink diamond ring from Moussaieff Jewellers, were on show this at the Biennale luxury fair in Paris. The Biennale Paris, took place at the Grand Palais ending September 17, presented extremely rare luxury pieces, including fine jewelry, art and items for the home, to connoisseur collectors. A standout piece from Moussaieff Jewellers, exhibiting for the first time at the Biennale, was a ring setting a marquise-cut 4.34-carat fancy vivid blue diamond alongside a marquise-cut, 6.54-carat, fancy intense pink, internally flawless diamond. Another showstopper from Moussaieff was a necklace featuring a heart-shaped, 61.62-carat white diamond, as well as pink diamonds.